There is no shortage of reasons why “Israel’s” most recent ground incursion into the Gaza Strip does not exactly scream ‘mission accomplished’. Requiring air support to make its way out of the Palestinian enclave, the “Israeli” special forces team failed to return to home base without sustaining casualties. Still, the world’s headlines preferred to focus on Palestinian deaths, and none more so than that of senior Hamas commander Nour Baraka. From there, the rest of the story pretty much wrote itself. An “Israeli” hit team infiltrated Gaza to kill a member of the Ezzedeen al-Qassam Brigades, who was supposedly in charge of underground tunnels that stretch from Khan Yunis into Egypt. But not everyone bought this version of events. Nour Baraka’s role in maintaining and overseeing Hamas’ infrastructure in Khan Yunis was undoubtedly important. But it was his family tree that likely made him a point of interest for the “Israelis”. Baraka’s brother, Suleiman, has a PhD in Astronomy and Space Sciences. A recipient of prestigious Western awards, he is formally an employee of NASA. After the “Israelis” martyred his 11-year-old boy in 2008, he made his way back to Gaza where he now works as a college professor. Dr. Suleiman Baraka’s craft is closely related to astrophysics, aerospace engineering, astronautics, making him an ideal candidate for engineering and modernizing rocket technology. According to unconfirmed reports, Nour Baraka was martyred after he approached and confronted the occupants of a suspicious van parked outside his home. Although it is difficult to ascertain who the “Israeli” operatives were actually waiting for, the Gaza incursion follows a string of assassinations targeting the brains behind Hamas’ rocket capabilities. Just three short months before the latest flare-up in Gaza, the government in Damascus accused “Israel’s” Mossad of assassinating Syrian scientist Dr. Aziz Asbar. He was martyred in Syria’s northwestern city of Masyaf when his car exploded. Dr. Asbar was one of the directors at the Syrian Scientific Research Center [SSRC], where he headed Department 4, which focuses on the development of all of Syria’s ballistic missile and rocket programs. 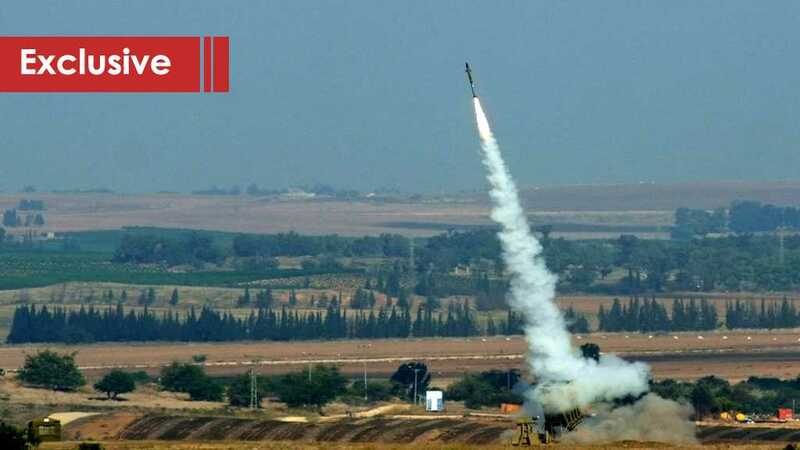 Syrian rockets have been prominently featured across the battlefields of occupied Palestine throughout the years – most recently so in 2014, when Palestinian resistance factions unleashed the surface-to-surface, M-302s against “Israeli” cities. The M-302, the range of which varies from 90 kilometers to at least 150, was also fired at “Israel” by Hezbollah in 2006, albeit under the name of Khaibar-1. Hezbollah would later receive a delivery of the more advanced, Syrian-made M600s, which Dr. Asbar is personally credited with modernizing. Not surprisingly perhaps, “Israel’s” Intelligence Minister “Israel Katz” did not mince his words when asked about the Mossad’s alleged involvement in Asbar’s murder. “I welcome his departure from the world,” Katz said in an interview with “Israel’s” Army Radio. Katz likely welcomed the departure of another Syrian officer, Ahmad Issa Habib, who was said to be in charge of the army’s “Palestine Department”. The Syrian military intelligence operative was shot in the head by unknown assailants less than a month after Dr. Asbar’s death. It is only logical to assume that Habib was extensively involved in the transfer of both information and military hardware to Palestinian Resistance factions. Sadly, the string of targeted assassinations is not confined to military personnel. In April of this year, a Palestinian scholar and scientist, Fadi al-Batsh was mowed down in a drive-by shooting in the Malaysian capital of Kuala Lumpur. The 35-year-old Hamas member was an electrical engineer that top Malaysian officials later described as “an expert at making rockets”. Al-Batsh’s family also accused the Mossad of carrying out the killing. During a brief, two-day battle in the immediate aftermath of Nour Baraka’s death, the “Israelis” gave every indication that they were gearing up for yet another full-scale ground war in Gaza. Avigdor Liberman’s sudden departure from the “Israeli” cabinet over the truce with Hamas is perhaps the most convincing evidence that his men were itching to go after Gaza’s supply lines and rocket stockpile. So many things, however, went wrong. For starters, the “Israelis” botched the first phase of the operation, as their hit squad was discovered and likely failed to eliminate the designated target. Then, more sophisticated rocket attacks began inflicting losses on “Israeli” troops, including one that struck a busload of soldiers. Such failures have clearly restrained Tel Aviv, causing serious reservations about another Gaza war. More importantly, the “Israeli” military can no longer be certain about what to expect from the other side of the Gaza frontier, prompting more daring assassinations across the Middle East and beyond. But that’s not all. This strategy also clearly exposes a growing sense of panic in “Israel” about the increasingly likely prospect of being surrounded by long-range, modernized rocket systems. With this behavior trend of someone who has been backed into a corner through failure, there’s plenty of reasons to believe that the “Israelis” with continue to make some fairly rash moves under such duress.